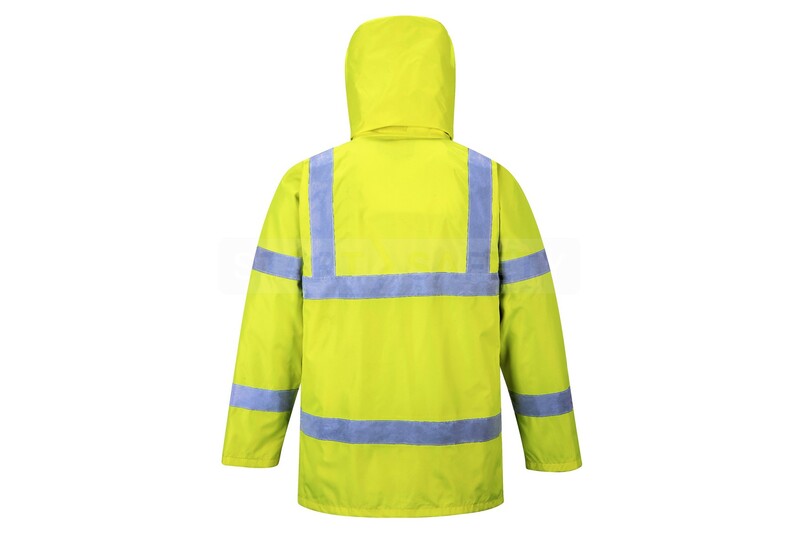 This jacket has a mesh liner that offers warmth, this is coupled with a slightly lighter 150 denier Oxford Weave exterior fabric to offer a waterproof jacket at a lighter overall weight. 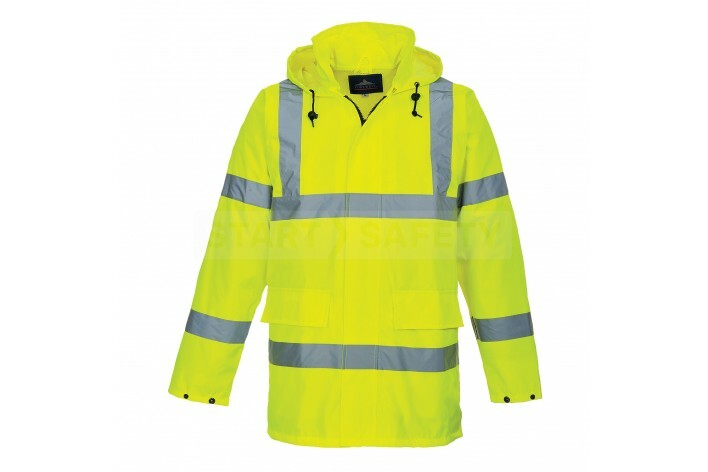 The jacket itself has an adjustable hood and cuffs, with the hood also being pack away. Two large pockets on the front of the jacket offer storage for any essentials that are required. We are able to have this jacket printed to suit your company branding with your logo or company slogan on the back. 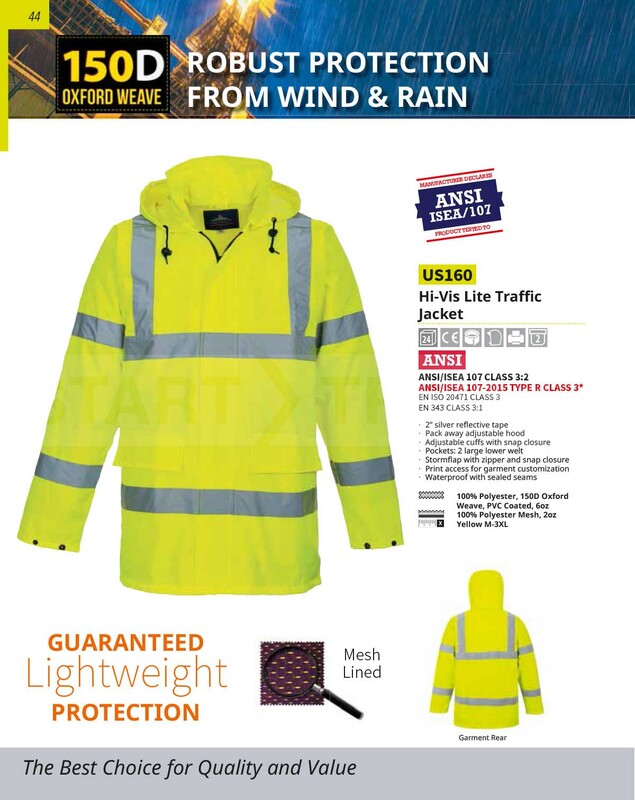 Do you have questions about this lightweight traffic jacket? Give us a call and speak to one of our trained sales team, they will be able to assist you in finding the right product for your needs. They would also be happy to discuss any bulk quantities that you may require.